RUNSTATS Rescue provides an easy method to reset the Db2 Optimizer-relevant Catalog statistics as quickly as possible after an incorrect access path change has been detected. Db2’s PLAN MANAGEMENT can’t always help, for example when Dynamic SQL is used, or if an object has been recreated (an index or a view). Using the Enterprise Statistics Distribution (ESD) component of Bind ImpactExpert or Db2 SQL PerformanceExpert (SPX) for Db2 z/OS, all Db2 Optimizer-relevant Catalog statistics are extracted. This extract must be run before any Db2 RUNSTATS utilities are scheduled to run. In this 20 minutes webcast we show you the complete RUNSTATS Rescue interface with live Demos. 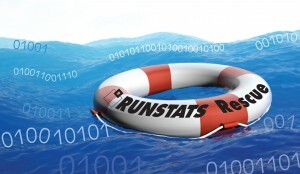 RUNSTATS Rescue gathers all the Db2 Optimizer-relevant statistics and saves them away on a regular basis. When you have a “bad” access path (that you have discovered through SQL Monitoring, or telephones ringing), you can very simply reset the Db2 Catalog Optimizer-relevant statistics to a point in time where the SQL Access path was better, thus rescuing you from the perils of bad access paths. Primarily designed for dynamic SQL, there is also a static SQL extension available, and we have even added a nice SOFTWARE ENGINEERING “front end” for IBM Plan Stability so that both methods of saving Static SQL are supported.